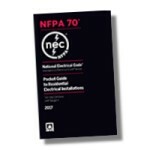 Confidently install electrical wiring in homes with frequently referenced Code requirements from the 2017 edition NFPA 70®: National Electrical Code®. People deserve to be safe from electrical hazards everywhere, and protection is especially important in homes. Developed expressly for residential electrical contractors and installers, the 2017 edition NEC® Pocket Guide to Residential Electrical Installations combines frequently accessed requirements for projects in one-, two-, and multiple-family dwellings. This is the resource that code users are raving about! – a guide that helps to identify specific changes between the 2009 and 2012 editions of the International Residential Code®, while also providing the reason and rationale behind those changes. This book’s effectiveness lies in its focus, which is primarily aimed at the most critical provisions, the most commonly used provisions, and provisions that have had a significant change in application, so that users can readily identify what changes occurred and why. A straight forward analysis of the impact of each change on the code's application rounds out the comprehensive coverage. The Basics of Household Wiring is an excellent training DVD, designed to get your new hires, trainees or beginners in the electrical field up to speed with the complexities of household wiring. While it won’t help you pass the electrician’s exam, this DVD will show you, using illustrated examples, how to correctly wire a three and four-ways switch, install GFCIs for single and multi-location protection, wire switch loops, half receptacles, two-gang receptacles and much more. Nothing is more essential in the construction industry than reading blueprints, and this pocket reference is the best of the best! The DEWALT Electrical Professional Reference 2017 Edition has been revised to reflect the regulations and requirements contained in the National Electrical Code® 2017. With user-friendly charts, diagrams, formulas and tables on many aspects of designing and installing electrical services, this book also includes valuable information on ampacity, motors, controllers, overload protection, raceways, wiring, voltage, lighting and much more. As the number one pocket reference guide in the industry, this is a must-have for professional building and technical trade contractors, service technicians, maintenance personnel, plant managers, engineers, designers, and architects alike. - more. Inside, you'll find simple, no- and low-cost measures to identify problems and increase your home's livability and efficiency--as well as your expendable income--each and every year. Electrical Wiring Residential, 19E - Updated to the 2017 NEC! 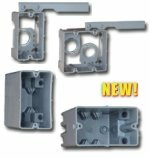 Featuring the latest industry standards and procedures, longtime market leader ELECTRICAL WIRING RESIDENTIAL, Nineteenth Edition, provides comprehensive, authoritative coverage of the 2017 National Electrical Code® (NEC®), as well as a thorough grounding in Electrical Knowledge and Applications. Drawing on decades of industry and classroom experience, the authors guide you step-by-step through the critical tasks and responsibilities you can expect as a professional electrician in both new construction and existing homes. Electrical Wiring Residential - 17E - Updated to the 2011 NEC! ELECTRICAL WIRING RESIDENTIAL, 17E, updated to comply with the 2011 National Electrical Code®, is a bestselling book that will help you learn the basics of residential wiring in both new and existing homes. This book uses a practical approach and comprehensive coverage to guide you step-by-step through the critical tasks and responsibilities that face today's professional residential electricians. With coverage of energy conservation laws like Title 24, as well as today's important concepts such as ground fault circuit interrupters, smoke, heat, and carbon monoxide alarms, 2011 NEC® requirements for house wiring, and Solar Photovoltaic Systems, you can feel confident you are getting the very latest in industry standards and procedures. 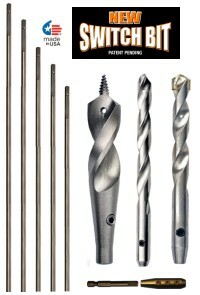 Includes a complete set of residential building plans. This comprehensive code comprises all building, plumbing, mechanical, fuel gas and electrical requirements for one- and two-family dwellings and townhouses up to three stories. An updated seismic map reflects the most conservative Seismic Design Category (SDC) based on any soil type and a new map reflects less conservative SDCs when Site Class A, B or D is applicable. Search easily through the complete text of the 2009 International Residential Code® in PDF format using Adobe® Reader® version 8.0 or later. View all of the text, illustrations, figures, equations, tables and margin rulings. The Single Seat version allows for installation on one computer and a backup installation. Fully revised and updated for the 2008 National Electrical Code (NEC), this one-of-a-kind guide provides the information you need to work with electrical wiring in old houses, apartment buildings, historic residences, and commercial structures. Old Electrical Wiring, second edition helps you to determine whether electrical systems should be torn out and replaced or retrofitted in order to bring an older building up to Code. Printreading for Installing and Troubleshooting Electrical Systems is a comprehensive resource that covers the essential printreading skills needed to safely install and troubleshoot common residential, commercial, and industrial electrical systems. The textbook focuses on printreading fundamentals, symbols, print elements, and construction documentation. Includes 2 Sets of Prints! Printreading for Residential Construction, 6E presents printreading fundamentals and provides printreading activities related to residential construction. Topics presented include sketching, computer-aided design (CAD), trade math symbols and abbreviations, plot plans, floor plans, elevations, sections, and details. RESIDENTIAL CONSTRUCTION ACADEMY: HVAC, 2ND EDITION covers the installation, startup and service of residential air conditioning and heating systems with a hands-on approach. Based on NAHB/ Home Builders Institute's Skills Standards for HVAC, this edition present material as a theory, then offers how-to instructions with step-by-step procedures and illustrations. Students explore matter, energy, heat and the basics of refrigeration for a working knowledge of the behavior of heat and how it is transferred. Residential Printreading covers common residential construction materials and techniques and relates this information to various residential prints using a fundamental approach. Print reading and construction practices are presented in the sequence that occurs on an actual job site - from property layout and excavation through finish installation. This completely revised book clearly explains how to install rough and finish wiring in new construction, alterations, and additions. 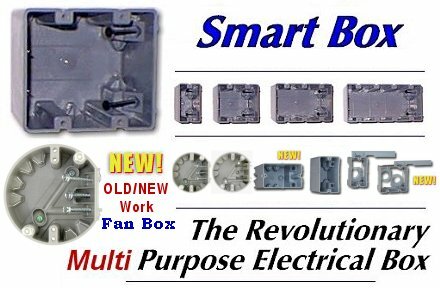 From basic electrical theory to advanced wiring methods to comply with the 2008 National Electrical Code. Here you'll find complete instructions on troubleshooting and repairs of existing wiring. Hundreds of drawings and photos show you how to plan and install wiring to code. Includes demand factors, circuit loads, and the formulas you need. Every subject is referenced to the 2008 National Electrical Code, and there are 21 pages of the most needed NEC tables to help your wiring pass inspection the first time. Common codes which pertain to these projects are referenced and, of course, Dr. Watts will assist you throughout with helpful advice and tips. SB22+ - 1G 22.5 cu. This comprehensive new text provides an overview of the latest information on the safe, efficient, and practical use of electrical test instruments. Test Instruments provides an overview of typical electrical test instruments used for installation tests, process equipment operation, quality control, and troubleshooting activities. Troubleshooting and Repairing Commercial Electrical Equipment is the first work that offers a practical approach to diagnosing and repairing commercial/industrial electrical equipment – covering everything from motors, computers, elevators, and fire alarm systems to heavy-duty ovens and audio equipment. Inside you'll find ways to become faster, more efficient, and able to achieve a much higher success rate in restoring large electrical equipment without damaging it, introducing an additional defect, or creating a hazard.